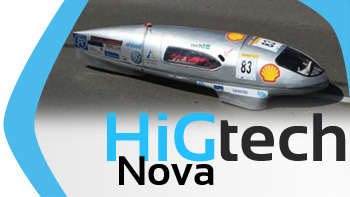 HiGtech has competed in the Shell Eco Marathon three times with three self-constructed cars. First up was Stella, the following year we designed and manufactured Nova which was succeded by Reborn. The cars are of course made ​​for the lowest possible fuel consumption and environmental impact. Click on the pictures below to read more about Reborn, Nova and Stella. 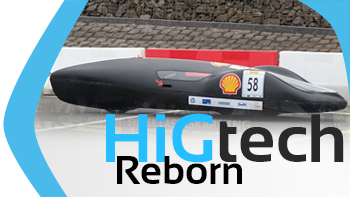 Before HiGtech took part in Shell Eco Marathon, another vehicle was developed to participate in the swedish competition Delsbo Electric. Delsbo Electric is as Shell Eco Marathon a competition in energy efficency, where self-made draisines for railway competes. Click on the picture below to read more about our draisine.